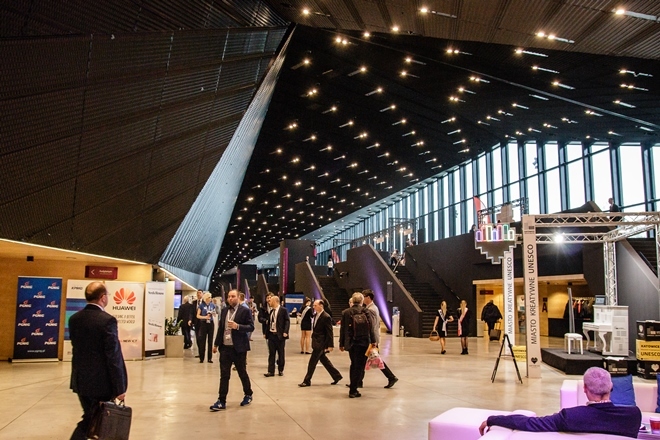 European Economic Congress is one of the most important economic events in Central Europe. These year’s (ninth) edition took place on 10th – 12th May 2017. 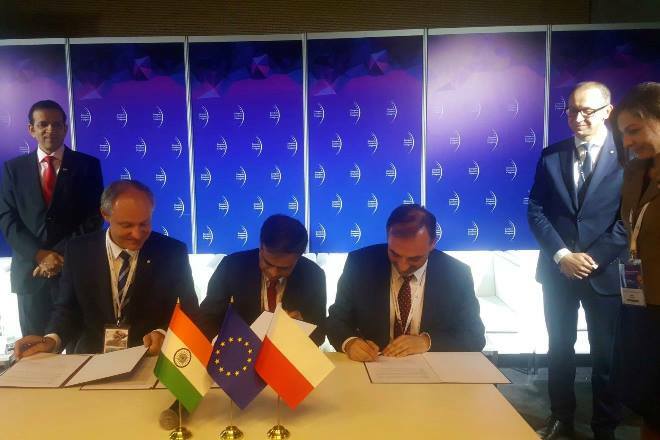 As a part of the Congress, the Economic Forum of Poland and India was organized on May 10th. The Forum was preceded by signing of the cooperation agreement with the University of Calcutta. 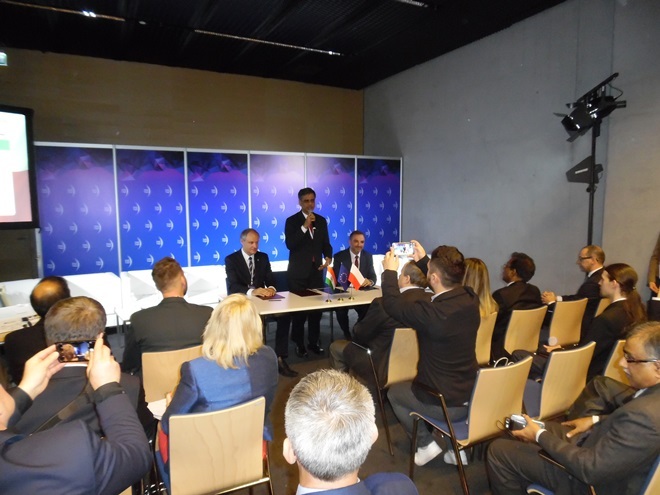 The agreement was signed simultaneously by the University of Silesia and Silesian University of Technology. 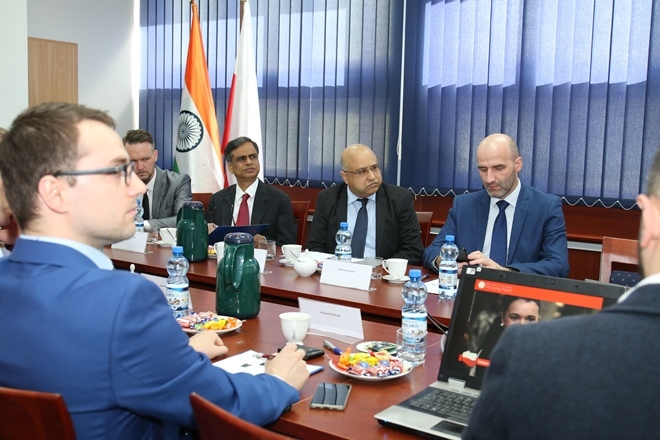 The universities were represented by their Vice-Rectors and Vice-Chancellors: Prof. Marek Pawełczyk (Silesian University of Technology), Prof. Ashutosh Ghosh (University of Calcutta) oraz Prof. Tomasz Pietrzykowski (University of Silesia). 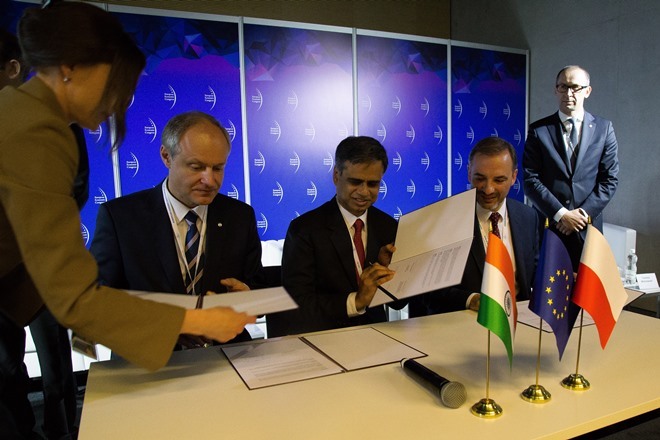 Signing of these agreements is a result of a visit of the Silesian voivodeship’s representatives to West Bengal and their participation in these year’s Bengal Global Business Summit. 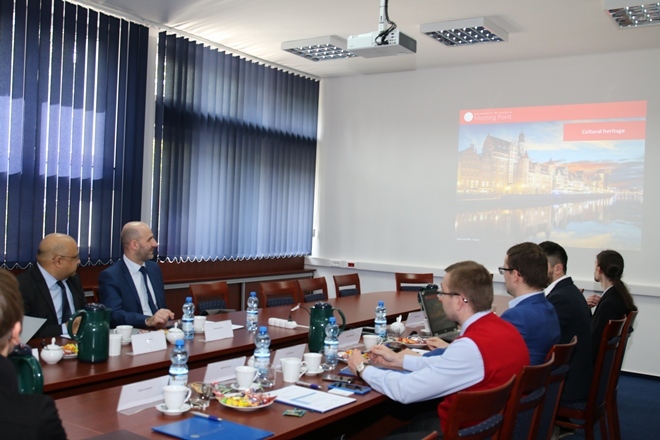 On May 11th the representatives of the University of Calcutta, Honorary Consulate of the Republic of Poland in Kolkata and Marshal Office of Silesian Voivodeship met in the Rectorate of the University of Silesia. 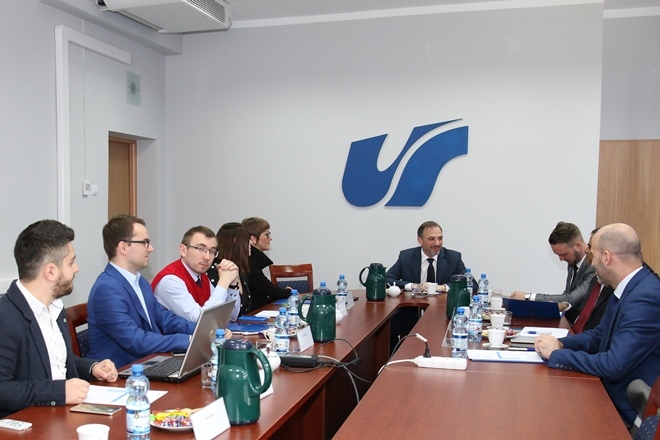 The meeting was chaired by Vice-Rector for Domestic and International Cooperation, Prof Tomasz Pietrzykowski. 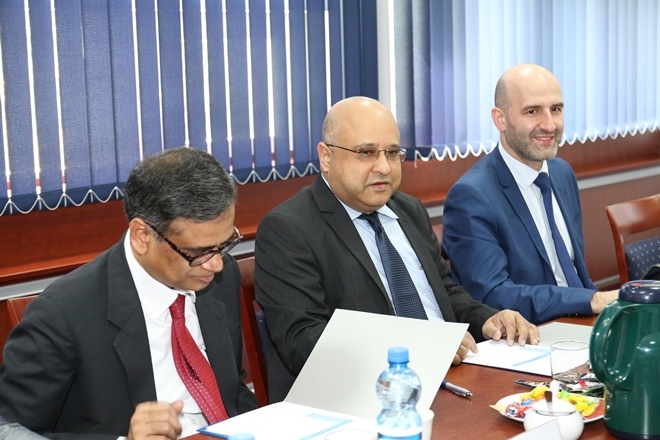 From the left: Prof. Ashutosh Ghosh – Vice-Chancellor of the University of Calcutta, Joydeep Roy of the Honorary Consulate of the Republic of Poland in Kolkata and Aleksander Kotulecki of the Marshal Office of Silesian Voivodship, Department of Economy, Tourism and Sport. The visit allowed discussing the details of the cooperation, as well as presenting the campus and the potential of the University. 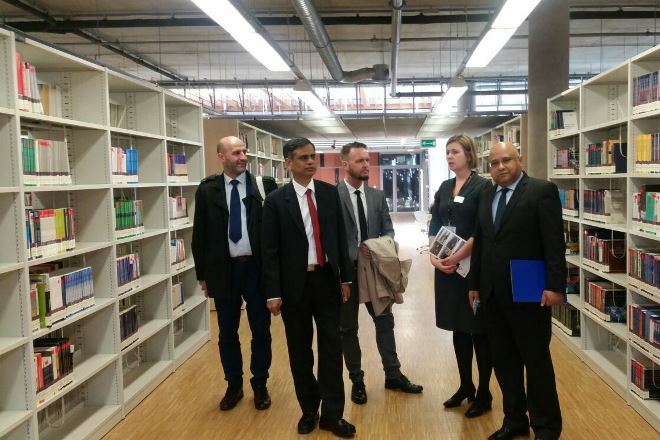 The guests had the opportunity to visit among others the Centre for Scientific Information and Academic Library.